Comments on "Good Tastin' and Good Lookin'"
Now THOSE muffins look like good eating! Sugar! Cute plate, too. The insanity with blueberries is very strong here - I always keep an extra package of frozen blueberries around just in case a new blueberry anything comes up. Thank you for catering to my obsession. jaay -- i don't have your email address. email me at my old email, and i'll email back with my new address. toodles! Yummy! You should check out the website www.behindtheburner.com for tips and tricks on all things culinary. a really good muffin is a cranberry orange muffin....so yummy. substitute blueberrys for cranberrys and add some orange zest. I love muffins. 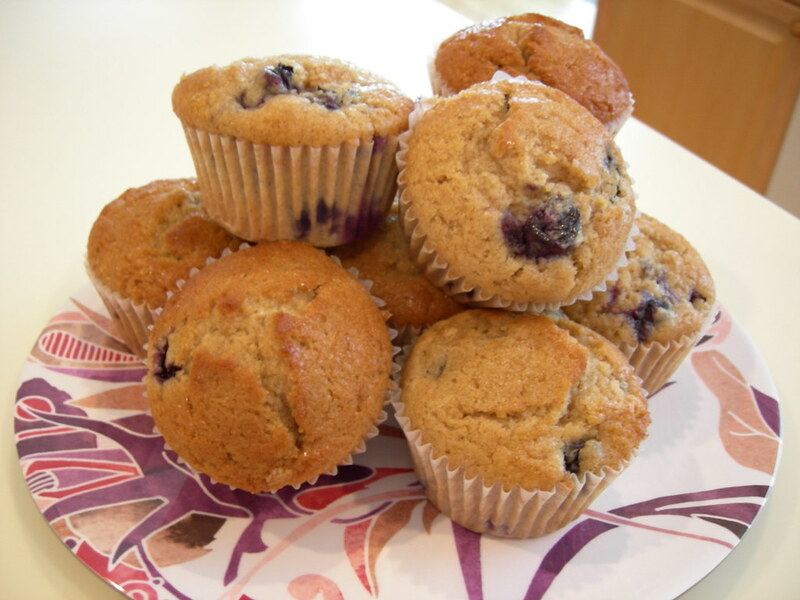 It's looks really Good Blueberry Muffins. And you may have possibly gotten the recipe from The Ultimate Muffin Book. these really look soooo nice. I'm rubbish at cooking but looking for some recipes for my friend - will pass it on! Great information and the sweetness mixed with the slight tartness of the blueberries. Paired with a cup of coffee you've got the perfect breakfast, but accompanied by a glass of milk you've also got a great afternoon snack.